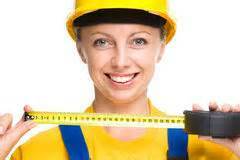 Answer these questions for yourself, and you will get the right pipe diameter tape measure! Metric or Imperial (Inch). Which do you need in your job? There are also 2 tapes that have BOTH metric and inch diameter scales. If the SKU number has a “m” in it, that means it is a metric scale. 64ths or 100ths? This question applies only if you need the Inch version of a pipe diameter tape. If you are in the oil and gas industry, you probably prefer the 100ths calibration. If you are in the boat or automotive industries in the USA, you would probably prefer the 64ths of an inch calibration. If the SKU number has a “d” in it, this means it is calibrated in 100ths of an inch. Size. The Lufkin models of the pocket diameter tapes will measure pipe diameters up to 23 inches. The Pi-Cobra models will measure pipe diameters up to 38 inches.